Clarke & Associates Accountancy are accountants based in Poole, Dorset. Offering accounting and compliance, business advice and business growth plans, the company is owned by Lee and Cheryl Clarke. 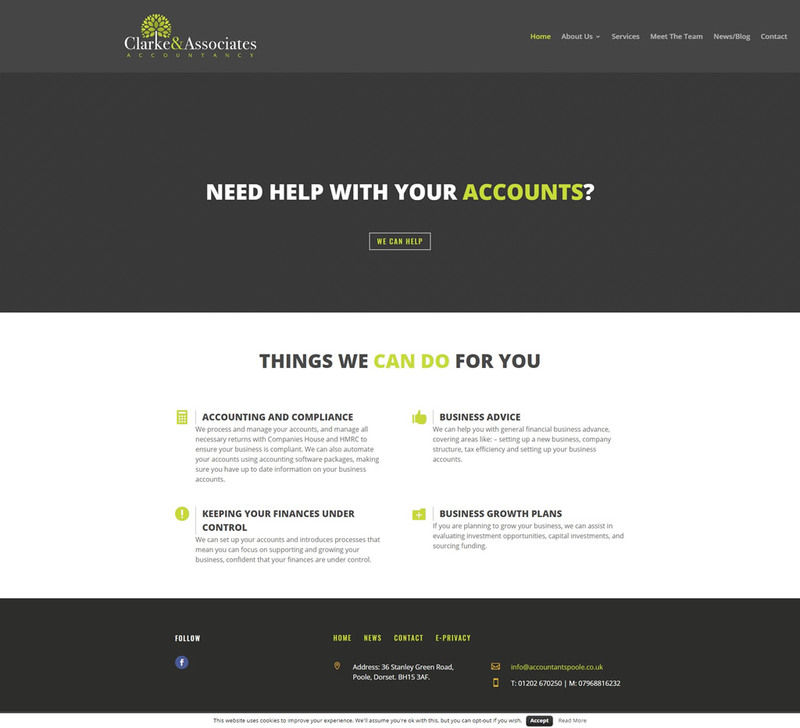 M35 Web Design built Clarke & Associates Accountancy’s new website to showcase their Poole accountancy services, and we provide them with web hosting, domain name management and updates to their site. » Clarke & Associates Accountancy.